You must deliver as many kerbals as possible to the island runway. 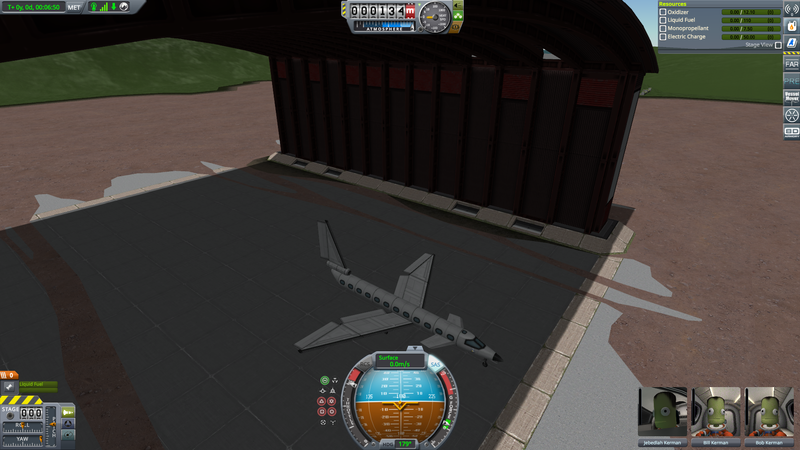 You need not return to Kerbal Space Center, but your plane shouldn't be taking damage. The catch is that your entire fuel load has been restricted to a single R-4 "Dumpling" tank. Remember that these hold up to 9.90 liquid fuel and 12.10 oxidizer. Due to airline safety regulations, you must have a pilot on-board the craft any time it is moving, and this pilot does not count among the passenger total. 1. Use either FAR or stock. 2. Use any engine configuration you wish, including rockets and stock props. 3. Remove oxidizer from the tank if you wish. 4. Make a boat or seaplane if you wish. 5. 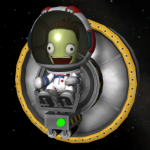 Put Kerbals in lawn chairs. 1. Use solar panels or RTGs as a power source. 2. Use ISRU or ore or whatever. 3. Abuse decouplers or whatever as ad hoc reaction mass. 4. Use parachutes of any kind. 5. Put the Kerbals on ladders (because it removes their mass and also can be used to generate non-negligible amounts of reactionless thrust). 6. Make the Kerbals swim a significant distance or push the craft. 7. Make an unmanned return. 12 passengers to the runway in about 6:30 using FAR. It ran out of fuel a bit more than 3 minutes into the flight but I did a zoom-climb so I would be able to glide at a solid 15:1 L/D. Solid fuel is still fuel, so I would assume not. Unless you drain them of fuel, I guess, but then you basically just have a structural metal pipe. SRBs are definitely not allowed. I found I had more success with a "pop and drop" method using a more powerful engine to climb to high altitude and then glide in as opposed to milking the Juno all the way across the pond lol. Fun challenge! Never would have thought I could get a plane that size across to the island on 10ish units of LF.